ServiceMaster Clean of Halifax & Dartmouth is an industry leader in commercial cleaning. For over 40 years, we have been providing janitorial services, commercial carpet cleaning and other commercial cleaning services to area businesses. Our focus is to provide our commercial cleaning customers with exceptional service and consistent results, on time and on budget. ServiceMaster Clean of Halifax & Dartmouth is also committed to providing environmentally friendly commercial cleaning solutions. This is evidenced through our certified Go Green® product line and our proprietary Capture and Removal Cleaning® system. Through our use of these specialized products, equipment and cleaning techniques, we help to improve indoor air quality in your workplace. 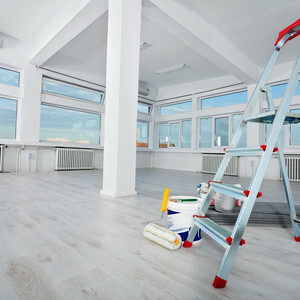 Our commercial cleaning services include janitorial cleaning, floor cleaning and commercial carpet cleaning, post construction cleaning, upholstery cleaning and any other office cleaning services which can help you provide a clean and healthy environment for your customers and employees. You can count on ServiceMaster Clean of Halifax & Dartmouth to help your business look its best every single day.